The Government Liaison identifies and addresses emerging concerns about Government legislation. The new system under which the prime minister appoints only Independent senators has by necessity triggered an evolution in the duties of the government’s representation in the Upper Chamber. To begin, the Government Leader’s Office has been renamed as the Government Representative Office, and the ranks of leadership have been cut from five members to three. The Government Representative Office is made up of three Senators who promote a vision for a less partisan institution that is more independent, accountable and transparent. 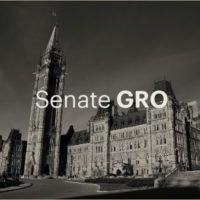 The group also works to promote the role of the Senate as a complementary body to the House of Commons. The designations are known as: the Government Representative in the Senate (formerly Government Leader); the Legislative Deputy to the Government Representative (formerly Deputy Leader); and the Government Liaison (formerly Government Whip). Two other positions, Deputy Whip and Caucus Chair, are no longer part of the office. The Government Liaison is responsible for outreach on Government business in the Senate and works to ensure that Senators have all the information they require in anticipation of votes. The role, previously stylized as the Government Whip, used to involve ensuring caucus attendance and enforcing party discipline in voting. Without a caucus or power to direct votes, the role of the Government Liaison is focused more on tracking support for Government legislation, as well as identifying and addressing emerging concerns. Senator Grant Mitchell is the current Government Liaison. The Government Liaison helps coordinate legislative briefings on Government legislation for interested Senators, regardless of their affiliation. The role also includes facilitating contact, upon request, amongst Senators and Ministers and their legislative staff to clarify questions about legislation. Further, the Government Liaison works with other groups in the Senate to oversee orientation for newly appointed Senators. The session includes a brief history of the Senate, an overview of the role and responsibility of Senators and an introduction to Senate procedure. The Government Liaison also has certain procedural powers related to the timing of votes. When a standing vote is called, the bells to call in the Senators ring for 60 minutes. However, the Government Liaison and the Opposition Whip can, with agreement, reduce the time ahead of a vote or eliminate it altogether, with leave from the Senate. The Government Liaison can also defer votes to the following day, as long as it’s a debatable motion (the same power is accorded to the Opposition Whip). Senator Grant Mitchell currently serves as Government Liaison.